Dr. Ann Barksdale graduated with a Bachelor of Science degree from Cornell University in 1981. She earned her Doctor of Veterinary Medicine degree from the University of Minnesota in 1992. Dr. Ann worked as a veterinarian and practice owner in Minnesota for several years prior to moving back to Maine. She has been practicing medicine for 15 years and has been working with small mammals since 1994 to include rabbits, guinea pigs, rats, and other pocket pets. Dr. Ann is a member of the AVMA, MVMA and AEMV (Assoc. of Exotic Mammal Veterinarians) and is also a recommended veterinarian for the House Rabbit Society. She had served as a board member for a service dog organization called My Wonderful Dog and provided veterinary care for the service dogs in training durng that time. Dr. Ann has worked closely with breeders to assist in managing reproductive cases and litters. Her favorite thing about veterinary medicine is the constant variety of cases that walk through the hospital door. Dr. Ann lives in Cape Elizabeth with her husband, Henry, and their two sons Matthew and Sam. Their family pets include a black lab named Simon, 2 cats, Pippin and Rosie. Outside of the office, Dr. Ann enjoys performing modern dance and ballet, swimming, skiing, and taking walks with her dog. Dr. Katie earned a Bachelor of Science in Business Administration from the University of Southern Maine, 1988. She worked at an advertising agency in Washington, D.C. until starting the study of veterinary medicine. She earned her Doctor of Veterinary Medicine degree from Virginia-Maryland Regional College of Veterinary Medicine in 2002. Dr. Katie is a member of the AVMA, MVMA and AEMV (Assoc. of Exotic Mammal Veterinarians) and is a recommended veterinarian for the Ferret Rescue of Maine. She enjoys all the animals she sees here at the hospital and can’t imagine not seeing dogs, cats, ferrets and other critters smaller than toasters every day. Dr. Katie lives in South Portland with her husband, Leon, and their son, Camden and daughter, Maddie. The family is rounded out with the cats: Toby, Bokie, Kitty Bear, Grace, her dog Tofu (Dr. Katie wishes to be as pretty as Tofu one day) as well as a gregarious conure parrot, Tyrza, her ferret Moxie and 3 goldfish the size of mackerel! Outside of veterinary medicine Dr. Katie loves to work on her house (is there another wall I can rip down? ), cook new tasty dishes and garden. Dr. Katie is fluent in sign language. Dr. Alicia Ring grew up in downeast Maine and knew she wanted to become a veterinarian since she could remember. She graduated with a BS in Animal Science from the University of Maine at Orono in 2000 and then travelled to the midwest to study veterinary medicine at Iowa State University where she earned her degree in 2004. Her travels weren’t over, though, as she and her husband moved to Portland, Oregon to begin their careers. She practiced in small animal veterinary medicine as well as at a no-kill cat shelter called Cat Adoption Team, where she rescued her infamous cat Sparky who had been electrocuted on a utility pole. Finally, in 2007 her family had the opportunity to move back to their home state and they jumped at the chance. Since that time, Dr. Ring has practiced as an associate and a relief veterinarian all over southern Maine. She joined our practice in 2011 and loves the wide variety of species that we see everyday. She lives in Saco with her husband and four children, Lucas, Anna, Alex and Elizabeth as well as four friendly felines. She enjoys reading (in those rare snippets of free time), baking with her children, and spending time at the lake with her family. Dr. James Morrill graduated with a Bachelor of Science degree in Animal and Poultry Sciences from Virginia Tech in 2013. He then stayed in Blacksburg, Virginia where he earned his Doctor of Veterinary Medicine degree from Virginia-Maryland College of Veterinary Medicine. 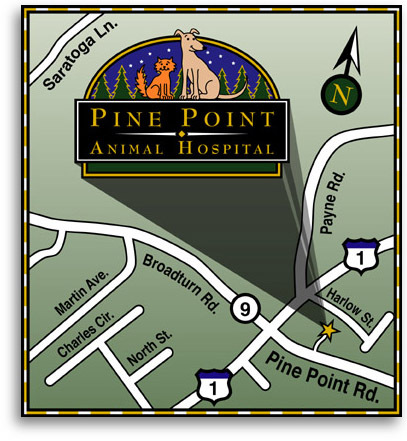 While in veterinary school, Dr. James did his externship at Pine Point Animal Hospital and loved it! After graduation in May 2018, Dr. James moved up to Maine to join the PPAH team full time. Dr. James lives in Steep Falls with his husband Taylor (who is originally from Peaks Island, ME) and their two dogs; a boxer Willow and boxer-mix, Delphi. Outside of the clinic, Dr. James enjoys hiking, camping, kayaking, and white-water rafting. He also hopes to learn how to ski so he has things to do over the long Maine winters. Dr. Sarah Tasse earned a Bachelor of Science degree in Animal Science from the University of Vermont in 1988. After graduation she moved to Colorado and started volunteering at the Boulder Humane Society Spay and Neuter Clinic where she realized she was interested in becoming a veterinary technician. Sarah attended Bel-Rea Institute of Animal Technology and became a certified veterinary technician and a few years later, applied to vet school. 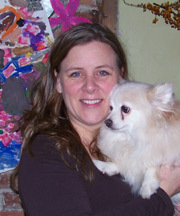 In 1997 Sarah graduated from Colorado State University with a Doctor of Veterinary Medicine degree. After practicing for a year in Durango, Colorado she returned to New England. She worked in a variety of small animal practices in Vermont, New York and Connecticut before moving to Maine in 2007 where she worked at a variety of small animal practices. 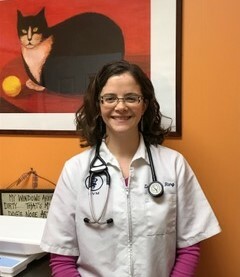 Sarah joined Pine Point Animal Hospital in 2009, took a brief hiatus from private practice in 2011 and joined IDEXX as a Medical Affairs Marketing Manager. In October 2017 Sarah returned to Pine Point Animal Hospital. She lives in Cape Elizabeth with her husband Jim and Penny the Pug. In her free time she enjoys anything outdoors, especially the beach and the mountains.